I've recently learned that fracking is a terrible name, something that isn't helped by the way it's spelled. F-R-A-C-K-I-N-G. What does that remind you of, hmmm? Nothing polite, that's for sure. It's short for hydraulic fracturing - note: there's no "k" in fracturing; where did the "k" come from? Fracing or fracting would probably have been better names, or at least had less vulgar connotations. But, that aside, Dr. Anthony Ingraffea, an engineering professor at Cornell University, explained to me that we're also using the term inaccurately (guilty as charged - see previous post). People use fracking to refer to both the technical action of hydraulic fracturing (injecting chemicals and water into drilled areas) and everything else (the drilling process, the industrial operations on the ground, the wastewater wells). That only serves to confuse the issue and make it harder to talk about. It also allows oil and gas industries to dodge the question, "Are there any cases of fracking that have caused contamination?" Based on their definition - the technical one - the answer is no. There are very few proven cases of the actual hydraulic fracturing process tainting people's water. BUT if we're talking about all those other parts of the oil and gas development - what is also included in the larger definition of fracking - then yes, there are thousands and thousands of examples. To get around the fossil fuel industry's dodge, the better question is, "Is there any case of oil and gas development that have caused contamination?" Using "fracking" as a catch-all makes it hard to know exactly what we're talking about. We need to be much more specific and use precise terminology to define and discuss each stage of the process. Otherwise, it makes it all that much harder to communicate about what's already a difficult issue. I have talked about it endlessly - in seminars, in lectures, in conversations with colleagues and friends. It's all over the news and it's a central issue of Colorado political discussions. I've heard from people who think all fracking should end yesterday, and others who think it's the best thing to happen to America since the Constitution. But it seems like everyone has an agenda and I'm still not sure if I'm really getting the whole picture. There are lot of misconceptions. I don't have the time or expertise to address them all, but these seem like some of the biggest ones. The process requires a lot of water, which is certainly something to be thinking about in the dry, dry west. But - and this is a big but - it doesn't use nearly as much water as people think it does. Take, for instance, California, which is in year four of a big ol' drought. California uses 214 acre-feet of water per year for fracking - about 70 million gallons. Sounds like a lot until you consider how much water California wastes due to leaky pipes - 431,000 acre feet per year. That's over 140 BILLION gallons. Puts the amount used for fracking in some perspective. Then there's methane, a rather potent greenhouse gas. People have voiced concerns that the hydraulic fracturing process leaks a lot of methane into the atmosphere, significantly contributing to global warming. This doesn't appear to be true, however. 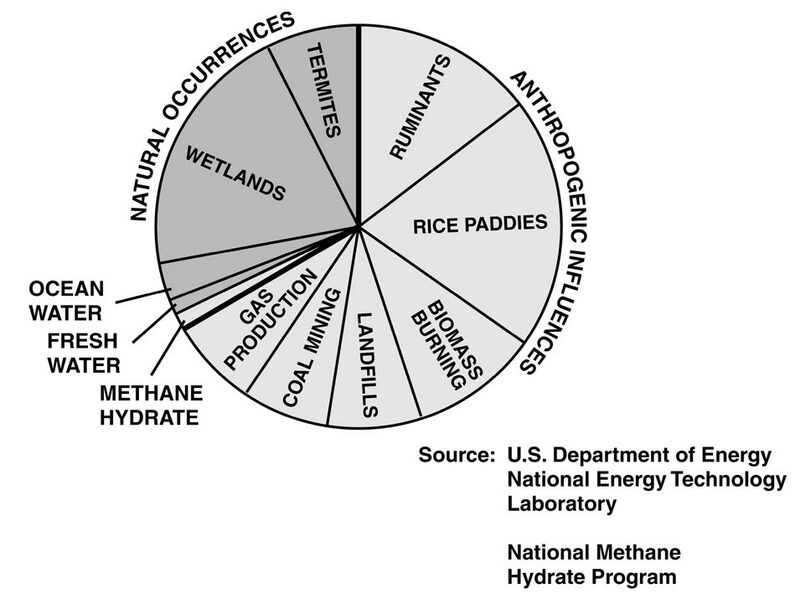 While methane is indeed released, it's a small fraction of the total amount - much smaller than what comes from wetlands, rice paddies, termites (!) and ruminants, aka moo cows. Additionally, natural gas (methane) is the cleanest fossil fuel out there. Natural gas power plants emitted about 56% less CO2 than coal burning power plants. Overall, that's meant a big reduction in CO2 emissions - down below 1994 levels. Increased seismic activity. The waste fluid from fracking is often injected deep underground into wells and that is causing earthquakes. In 2013, Oklahoma saw an earthquake rate 70 times higher than it did before 2008. Traffic. That might sound trivial, but the number of trucks and heavy machinery involved in establishing wells is tremendous. For communities near fracking sites, that means more tailpipe emissions, more traffic fatalities, more noise. Fracking chemicals. The vast majority of the liquid used in fracking is water mixed with sand (which keeps the fractures in the rock open, to allow oil and gas to be extracted). But the remainder of that fluid is made up of chemicals. fluids An EPA report from March found that something like 700 chemical additives are used in hydraulic fracturing. Many of those are considered "proprietary" by the oil and gas industry, which means they're kept secret. And if we don't know what they are, we don't know what dangers they pose to people or the environment. Some of these issues seem like they could be fixed with better technology and more openness and cooperation. There needs to be more regulation - of that I'm 100% certain. Even if those problems are addressed, fracking shouldn't be the long-term plan. Natural gas reserves are going to run out and, even if natural gas burns more cleanly, it's still adding to the overall greenhouse gas problem. But as a bridge fuel? As a way to get away from coal and closer to something cleaner and renewable? Seems like fracking might not be such a bad idea.